Self-striping yarn is increasingly popular with crafters, but many knitters lack the knowledge to work with the yarn effectively. Carol Sulcoski’s latest book, Self-Striping Yarn Studio (Order Here >> B&N, Amazon, IndieBound), begins with a comprehensive technical section that explains how to use and manipulate self-striping yarn, something no previous pattern collection has offered. After reading the accessible instructions and tips, knitters will be inspired to cast on one of 24 new and original designs. Get a taste of what this book has to offer with this free pattern, not included in the book! Approx 28 sts/32 rows = 4″/10cm in Stockinette stitch, before blocking. Gauge is not essential for this project. Note: Carry color not in use along edge to avoid breaking yarn. With yarn A, CO 50 sts. Purl 1 row. Row 1: With yarn A, k3, yo, k2tog, k to last 5 sts, k2tog, yo, k3. Repeat these 2 rows using yarn A. Change to yarn B and work these 2 rows twice more. Repeat these 8 rows until cowl measures 27″/68.5cm and ending with Row 8. Cont in the same manner, working 6 rows in A and 2 rows in B until cowl measures 54″/137cm. Cont in same manner, working 2 rows in A and 2 rows in B until cowl measures 81″/206cm. BO all sts, leaving long tail for seaming. Weave in all ends except long tail for seaming, and block. Sew CO edge to BO edge. Note: If you wish, you can seam the cowl; give the cowl a twist and then seam it for a mobius effect; or leave the cowl unseamed and wear as a scarf—knitter’s choice! Carol J. Sulcoski is a knitwear designer, writer, hand dyer, and teacher. Her books include Sock Yarn Studio (Lark), Lace Yarn Studio (Lark), Knit So Fine (Interweave), and Knitting Socks with Handpainted Yarns (Interweave). Carol’s work has also appeared in such magazines as Vogue Knitting, KnitSimple, Interweave Knits, KnitScene, and Noro Magazine. Carol’s hand-dyed yarns can be purchased at blackbunnyfibers.com. We here at Lark Crafts believe a well-made meal is an art form of its own, so today we turn to our sister imprint, Sterling, for some food inspiration! And what better way to celebrate fall than with this beautiful, savory apple and butternut squash soup from Superfood Soups by rock star chef, Julie Morris. The book showcases 100 of Julie’s favorite soup recipes, all of which deliver more than “just” delicious flavors, aromas, and textures. Featuring vegetables, mineral-rich tubers, fiber-filled whole grains and legumes, and protein-packed seeds and nuts, each recipe makes the most of every bowl. Apples and squash go hand-in-hand as BFFs (best flavor friends)…and of course curry makes everything just a little better. This is a wonderfully complex soup you’re bound to make time and time again. Makes about 6 cups/4 servings. 1. Warm the oil in a large heavy-bottomed pot over medium heat. Add the onion, and cook until translucent, about 5 minutes. Stir in the apple and ginger, and cook 1 minute longer. Add the butternut squash, broth, curry paste, dulse flakes, goji berries, turmeric, and lime juice and mix well. Over high heat, bring to a boil. Reduce the heat to low, cover, and simmer for 30–40 minutes, or until the squash is very soft. 2. Working in batches, transfer the soup to a blender. Puree until very smooth, and then pour into a large bowl. Repeat with the remaining soup mixture, and return the batches to the soup pot. 3. Stir in ⅔ cup coconut milk and gently warm over low heat for 1–2 minutes. Season with salt and pepper if desired. To serve, ladle into bowls, drizzle with additional coconut milk, and garnish with a few apple shavings. Purchase your copy at any of the following retailers! Luxurious leather never goes out of fashion, and now Christina Anton, owner of Boo and Boo Factory in Chicago, shows how to use leather to create bold, unique jewelry with a modern, architectural touch in her new book, Creative Leather Jewelry (Get your copy here: B&N, Amazon, IndieBound). 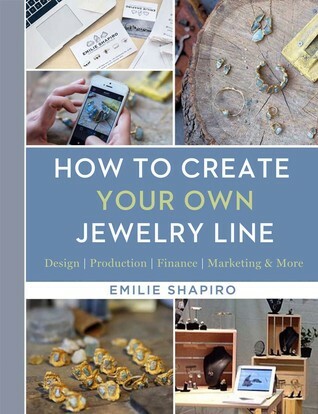 The book has 21 projects, including layered fringe earrings, a dangling chain triangle necklace, and a geometric cuff bracelet, that are perfect for beginners and any crafter looking to spark their creativity! Below, Christina has kindly provided our readers with a free basic tutorial on how to make leather tassels that you can use to dress up any of your projects. If you’re looking for jewelry projects that make use of this tassel, check out the dangle tassel earrings, the geometric tassel necklace, or the leather tassel bracelet all included in the book! 1. Gather all of the materials and tools listed. 2. Copy shapes A and B from the template on a separate sheet of paper. Then cut out the shapes using a cutting blade or scissors. Note the pink dotted lines that can be used as a guide when measuring tassel cuts. 3. Place shapes A and B on top of the leather and cut around. Shape A is the leather tassel, and shape B is the loop you can use to attach the finished tassel to your project. 4. Using a disappearing fabric marker and a ruler, or the pink dashed lines on the template, make small marks along the bottom edge of the back side of the leather at each 1⁄16 inch (1.5 mm). Marking on the back side prevents the marks from showing on the finished side. The 1⁄16-inch (1.5 mm) marks determine the width of each strand of the tassel. Feel free to make the cuts wider or narrower depending on preference. 5. Again working on the back side of the leather, measure down from the top edge 1⁄4 inch (6 mm), and draw a very light line with the disappearing marker. Along this line make 1⁄16-inch (1.5 mm) marks corresponding to the marks made along the bottom edge. 6. With the ruler, cut parallel, straight lines from the top marks to the bottom marks and through the bottom edge. Make sure not to cut all the way to the top. 7. Repeat to create two or more tassels depending on your need. If the guide marks made from steps 4 and 5 are visible, use a cutting blade to scrape them off. 8. Working on the back side of the leather, align one short end of shape B on the top left edge of the tassel cutout, and use cyanoacrylate glue to adhere. Fold shape B in half to create a loop and glue again. The loop is used to connect the jump ring and ear wire to the tassel. Repeat for the second tassel. 9. On the back side of the leather, spread a narrow band of leather bond glue along the top edge of the tassel cutout stopping 1⁄4 inch (6 mm) from the end. This helps to strengthen the tassel. Hold the top of the loop, and roll tightly to create the tassel. Keep rolling until 1⁄4 inch (6 mm) is left. Add cyanoacrylate glue to the end, and finish rolling. The glue will help keep the tassel from unrolling. Repeat for the second tassel.